The Beauty and Cosmetic industry in Western Australia involves the sale of hundreds and thousands of cosmetic and natural beauty products. According to the leaders, the industry revenue in Perth is expected to grow in the next five years- thanks to the increasing population and demand for branded cosmetic products. The need for expensive beauty/cosmetic treatments such as skin care treatment and microdermabrasion has also doubled revenue in major segments. In Perth, key growth areas in the Beauty sector are hair products, anti-aging treatments, men’s grooming products, baby products, laser hair removal treatments, spa services and skin tanning treatments. These areas are gaining a lot of popularity among residents of Perth, Western Australia. In addition to this, many potential individuals are investing their money by buying Franchise for sale in Perth to sell a variety of branded and international beauty and personal care products. In 2016-17, there were more than 1000 beauty and hairdressing businesses operated in Western Australia. Over 500 beauty therapists were employed within its geographical boundaries, while other budding entrepreneurs are still striving to enter this industry by owning a profitable business for sale in Perth. There are many business opportunities available including cosmetic surgery based business, make-up services, facial services, hairdressing business, manicure and pedicure services, cosmetic tattooing and piercing, spa therapies, skin care services and much more. To an addition, there is a huge demand for cutting-edge equipment and high-quality products to provide professional nail, skin and hair care services. This has made the beauty industry one of the most productive drivers of the economy in Perth. When it comes to the most popular sectors in the Beauty industry, then hairdressing and men’s grooming is one of the most mushrooming areas that are gaining a lot of popularity. Since the industry is highly-segmented and has a competitive market, it becomes quite difficult to generate higher revenue within the first few years of inception. That’s why it is better to buy an existing one that already has established business processes, customer base and market reputation rather than starting a business from scratch. This way one can fulfil the dream of owning a beauty business with low overheads and higher ROI. If you are interested in a profitable business opportunity in Fremantle, Midland, Morley and other key areas of Perth to grow your living standards and accomplish your entrepreneurial goals, then have a look at the business opportunities listed under Perth, Western Australia. 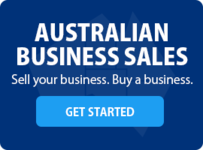 Business2Sell has 16 Beauty Businesses for Sale in Perth, Western Australia. There are many other businesses in multiple categories such as 64 Cafe And Coffee Shop For Sale, 50 Restaurants For Sale, 48 Franchise For Sale, 23 Food Related Businesses For Sale, 17 Takeaway Shop For Sale, 15 Newsagency For Sale, 14 Manufacturing And Industrial businesses for sale, 14 Beauty businesses for sale, 14 Retail Business For Sale, 14 Light Manufacturing Businesses For Sale and many more. Commercially-viable locations around the Perth Region are Fremantle with 42 opportunities, East Perth have 35 Business listings, South Perth with 23 opportunities, Joondalup with 15 Businesses for sale, Osborne Park with 14 listings for sale, Rockingham with 14 Business opportunities, Subiaco have 13 listings for sale, Victoria Park with 11 Business opportunities, Wanneroo with 10 Business listings and much more.